I’m moving along, slowly but surely, thread painting of the tropical flowers on the wall art piece. It both takes both more and less time than expected – a colour fills in rather quickly but while I’m working on an element it seems to be taking forever! Except for a bit of white at the edge of the flower this anthurium is close to finished (it will still need some yellow down the middle of the pistil). 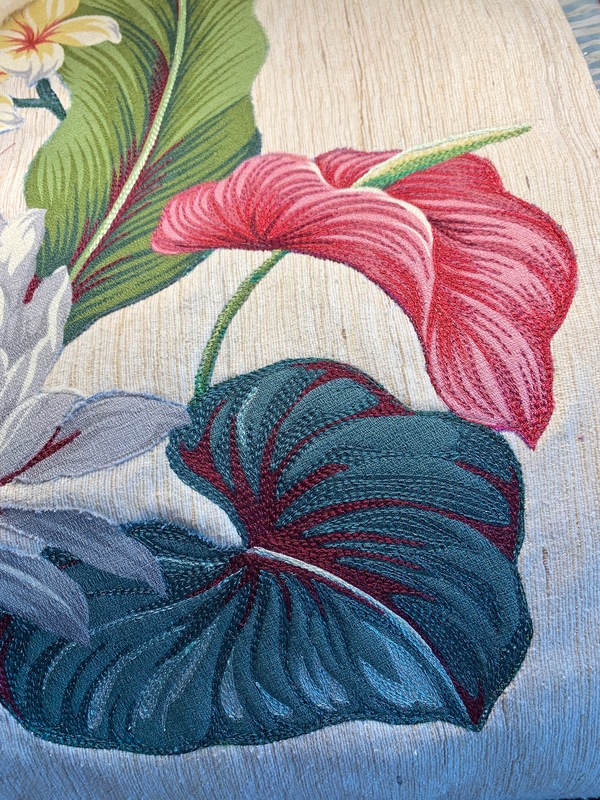 The second anthurium is about half done – my shoulders got tight so I stopped sewing – I still have the second side of the flower to stitch, bits of white and yellow to add in – then this flower, too, will be completed. 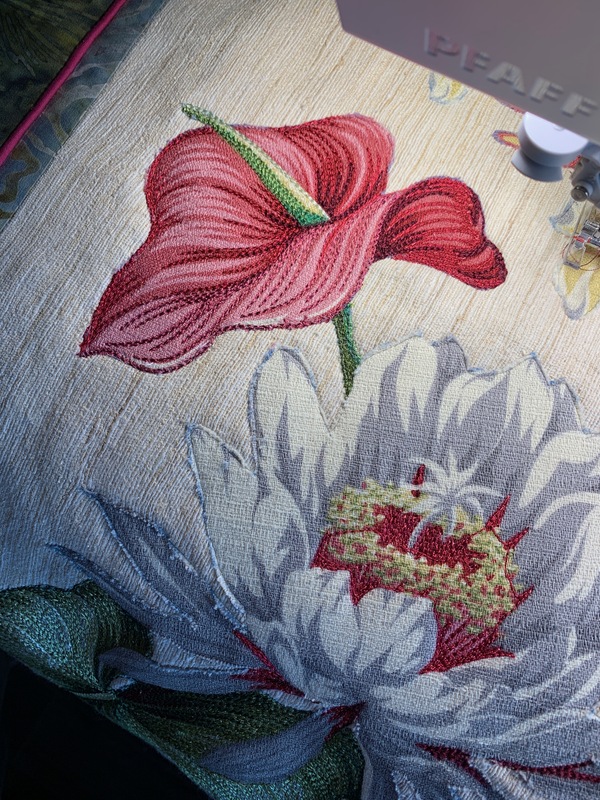 Yesterday, I while I had the darker red thread on the machine I stitched in the stamen filaments on the epiphyllum – the anthers will be last thing I do on the flower. I’m planning on filling in the grey elements with shades of soft pink to bring out more colour in the flower. A bit each day and it’s s-l-o-w-l-y getting done.